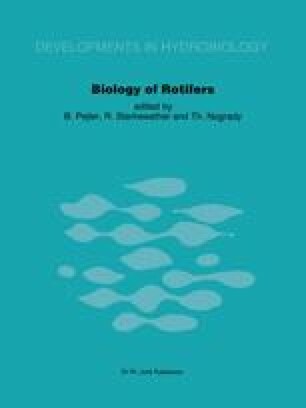 Development of techniques to maintain viable rotifer clones in a frozen state would preserve the genotype and reduce routine maintenance for those clones not being actively studied. To this end we have frozen Brachionus plicatilis in dimethyl sulfoxide at concentrations ranging from 6% to 18%. Survival rates decreased as the endpoint temperature was reduced from −20 °C to −45 °C, but did not decrease when the temperature was further reduced to −196 °C (liquid nitrogen). Only 2% of the individuals survived freezing in liquid nitrogen.